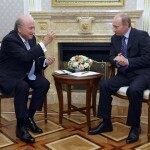 Wladimir Putin: Mr Blatter, dear friend, I am very glad to see you in Moscow. 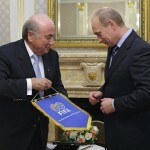 In Moscow and Russia, your work in the post of FIFA president is very well known. I have to say that the popularity of football is growing in Russia. I cannot, however, say that our team is doing all of what the country’s fans expect of it, but the development of football is generally on the upswing all the same. In general, we have a good national team with good potential. What is more important is that we have a program for the development of football to the year 2015. Corresponding federal funds have been allocated and the regions are also allocating funds. Before the end of this year, we plan to build 600 new pitches, including indoor pitches. You, of course, know that we have decided to officially submit our application to host the World Cup in 2018. We wanted to inform you about this today. A week ago, on October 9, I signed an executive order in order to make this process more official. 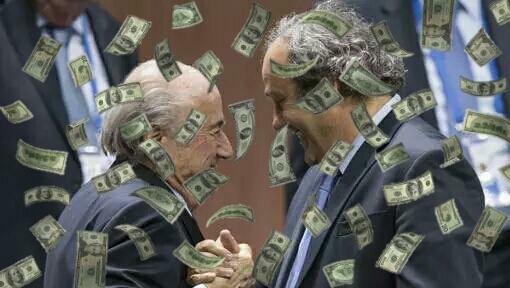 Joseph Blatter (as translated): Let me first wish you a happy birthday. Once again, happy birthday! Mr President, I am very glad about our meeting today; it’s a great honour for me. I am really glad that you greet me as a friend and let me do the same. We have been acquainted for several years in various capacities. I want to tell you that as before, you remain „Mr President“ to me and so accordingly I have addressed you as such. You said that I am well-known in Russia. Let me answer that by saying that you are well-known around the world. In any case, in every country I visit. Everywhere in the football world, people talk about Russia and about you. I must say that in Russia there really is a lot being done for the development of football and we value this. Evidence of this is the fact that the president of the Russian Football Union is now a Russian government official. And this did not give us pause. As they say, success goes hand-in-hand with success. As for the national team – I think that the Russian team will still make it to South Africa. But if it doesn’t happen on the first try in the first round, there’s always the second try in the second round. There are two more games ahead. And with such a team and the whole nation behind them, I am confident that you will succeed. Wladimir Putin: I hope so. 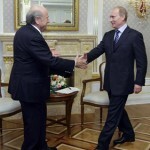 Joseph Blatter: Of course, I would like to be able to say that I also hope se, but there is the principle of neutrality, which I must observe. Mr Prime Minister, let me take this opportunity to express gratitude for the Russian government and the Russian Football Union deciding to officially submit an application to host the World Cup in 2018. Regardless of what anyone says about, say, the Olympic Games, this is the world’s main event, the foremost event, Event Number One. Football is football. Today, over the course of the day, I had the opportunity to familiarise myself with the progress of Russia’s preparations to host the World Cup. And let me take this opportunity to explain my football philosophy. 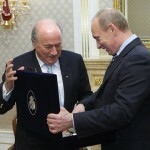 I think that the world football championship, the World Cup within the framework of FIFA must leave a legacy. And just such a concept is being realised here in Russia. So the Russian application gives rise to my most earnest sympathy. Mr Prime Minister, I am very glad that preparations for the World Cup are now being done on a regional level and are proportionally distributed across all of Russia. You mentioned this yourself and also noted that football isn’t just a game. Indeed, many other things relate to it, such as all of the logistical support – the streets, railroads and all infrastructure. Not only just the stadiums. Consequently, all of this, of course, will remain in Russia and will be of use to its people. I would also like to mention the great socio-cultural significance of football and it popularity among youth. Football is really a game that motivates the entire world. And it seems to me that this particularly pronounced in Russia. It should be recognized that things aren’t going so well in the world, although the economic crisis has relented a little bit. But in order to overcome it, we, of course, need positive emotions and hopes. This is exactly what football could give. And on a more personal note – since we’re talking about the crisis, let me congratulate you with signing the major agreement with China yesterday. Getting back to football – of course, it’s great that Russia has such a large construction programme for football. This is not only football pitches, but roofed stadiums. Of course, it is very good that youth is lure off the streets and into sport facilities where come to know a game based on respect and discipline. It may be said that football is the school of life. A person who plays football may not become the best footballer, but he will become a better person. Mr Prime Minister, could you ask the question that the media also asks – „What are Russia’s chances to become the host country for the 2018 World Cup?“ I can say that Russia, first of all, is in the race. However, I can say that Russia is a second-tier country and other countries submitted their applications much earlier. However, those documents which I was able to review command respect. I think that if you continue with the same verve and the same attitude, then your chances are good. And let me also add the following. Regardless of the Russian national team’s results are, and accordingly those of the Russian Football Union, let me, now in my official capacity, as well as personally, invite you to the World Cup opening ceremony in Johannesburg on June 9 of next year. I hope that you will be able to accept my invitation. Wladimir Putin: Thank you very much. Thank you, Mr President for your invitation and your comments. As for our application, we indeed attach great importance to it, primarily from the point of view of the development of mass sport. We have four locations, four cities where practically, if not everything is ready, then we, independent of the World Cup, will prepare these sites. These are Moscow, St. Petersburg, Kazak and Sochi. Kazan will host the World Student Games in 2012, and then in Sochi, as you know, there will be the Olympic Games and a facility there will also be ready. Renovation and practically new construction is in progress in St. Petersburg, and in Moscow as well. And we’re planning another 10 facilities in 10 cities. I surmise that the very fact of holding such a major event will certainly be a shot in the arm for the development of football in all of Eastern Europe, in any case, in the former Soviet Union. 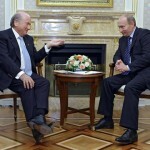 Joseph Blatter: You’ve got me thinking. My philosophy is to bring football to those countries and regions where we haven’t been before. Accordingly, we are in Africa now. Wladimir Putin: I know which button to „press“ in conversation with you. Because, thanks to your efforts, football has moved beyond South America and Europe. Now the World Cup will be held in Africa. And it is rather effectively developing in North America and Asia as well. So for us, this movement is in the same direction, because it involves actually creating new infrastructure. Certainly, there will be a push to develop football in particular and mass sport in general. Of course, this is what you said at the start of our conversation – infrastructure, transport, accommodations, telecommunications systems, utilities, energy supply. And all of this is connected, of course, with environmentally-friendly modern technology. In general, we are ready to be quite energetic in promoting our application. Of course, ultimately the decision rests with your colleagues, but we will try to do everything to show the advantages of our application. In any case, we will implement our programme, which, as I already said, runs until 2015. 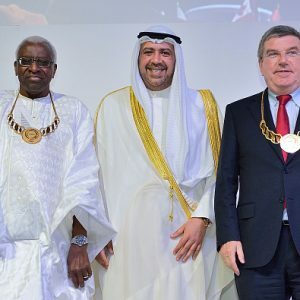 The FIFA President was in Moscow on Wednesday, where he met with Russian Prime Minister Vladimir Putin, Youth, Tourism and Sports Minister Vitaly Mutko and the President of the Russian Football Association. Featuring high on the list of topics discussed were Russia’s candidature for the FIFA World CupTM in 2018 or 2022 and the important social role the global game can play. Their conversation turned to the issue of Russia’s candidature for the 2018 and 2022 FIFA World Cups, with their rivals including England, Australia, the United States, Indonesia, Japan, Spain and Portugal, Belgium and the Netherlands, Korea Republic (2022) and Qatar (2022). 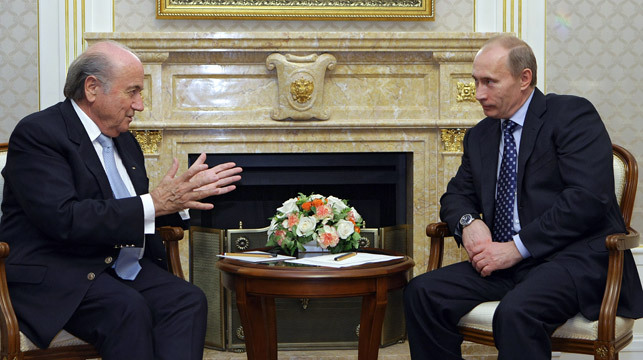 Mr Putin is naturally standing firmly behind his country’s bid. 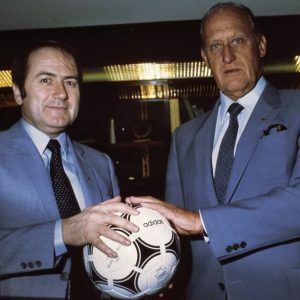 „Organising a tournament with such prestige would have a catalysing effect on the development of football throughout eastern Europe and especially in the former Soviet Union,“ he explained. FIFA-Präsident Joseph S. Blatter weilte am 15. Oktober 2009 zu einem Kurzbesuch in Moskau, wo er mit dem russischen Ministerpräsidenten Vladimir Putin und Vitaly Mutko, dem Minister für Sport, Jugend und Tourismus, zusammentraf, der gleichzeitig das Amt des Präsidenten des Russischen Fussballverbandes inne hat. Im Mittelpunkt der Gespräche standen die Bewerbung Russlands um die Austragung der FIFA Fussball-WeltmeisterschaftTM 2018 bzw. 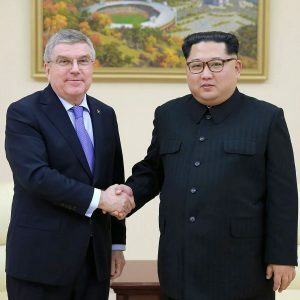 2022 sowie die soziale Rolle der weltweit beliebtesten Sportart in der Gesellschaft. Zunächst wurde Joseph S. Blatter im Weißen Haus von Moskau von Vladimir Putin empfangen. „Ich war sehr geehrt, als mich Herr Putin zu diesem Gespräch einlud. Schließlich kenne ich ihn schon seit vielen Jahren. Er ist genau wie ich ein begeisterter Anhänger des Sports im Allgemeinen und des Fussballs im Besonderen. 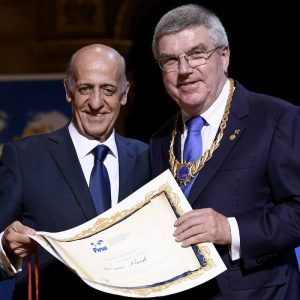 Wir sprechen also die gleiche Sprache“, so der FIFA-Präsident. Darüber hinaus stand in den Gesprächen mit den russischen Gastgebern auch die Entwicklung der sozialen Verantwortung des Fussballs auf der Tagesordnung. „Wir haben für den Fussball ein Entwicklungsprogramm aufgelegt, das bis zum Jahr 2015 läuft. Dafür wurden finanzielle Mittel aus dem Staatshaushalt der Russischen Föderation bereitgestellt, und auch die Regionen haben dazu einen Beitrag geleistet. Bis zum Jahresende ist geplant, rund 600 neue Spielstätten fertig zu stellen, darunter auch Sporthallen für den Hallenfussball“, so der russische Ministerpräsident. Dieser Sieg gegen Schalke kann Dortmund teuer zu stehen kommen: Das Fußballmuseum, das der DFB 2012 in Dortmund und nicht wie angedacht in Gelsenkirchen eröffnet, wird überwiegend aus öffentlichen Mitteln finanziert – über deren Umfang bisher nur sicher ist, dass er im zweistelligen Millionenbereich liegt. Damit ist das Museum ein Paradebeispiel für den leichtfertigen Umgang mit Steuern – für den es laut Bund der Steuerzahler (BdST) in NRW 16 aktuelle Beispiele gibt. Für das Fußballmuseum zahlt das Land 18,5 von 30 Millionen Euro, die Stadt stellt das Grundstück – ohne zu wissen, was die nötige Verlegung des Busbahnhofs auf ein neues Grundstück kostet, das ebenso bezahlt werden muss. Serviler kann man ja gar nicht auftreten. Das ist ja sowas von peinlich. Originell, die Schreibblöcke und Stifte, die da auf dem Tischchen liegen. Das wirft eine Menge Fragen auf: Sind dem FSB die Wanzen ausgegangen? Muss sich dear friend Mr. Blatter notieren, wen er so alles zur WM-Eröffnung einlädt? Malen auch solche friends and fellows gern Rechtecke, Mondgesichter (Tore, Bälle) etc.? 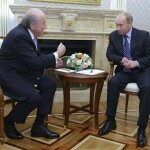 Ich stelle mal ein Rätsel in den Raum: Wenn sich Blatter und Putin treffen, muss es (in meinen Augen)auch um ein Thema gegangen sein, dass im Text nicht erwähnt wird. Hat jemand Lust zu raten, worauf ich – spekulativ, aber ernsthaft – abziele? Russlands WM-Bewerbung für 2018, Arnesen?! wer von beiden zuerst den Friedensnobelpreis uswusf. Bis jetzt beides falsch (im Sinne des Rätsels). RalfKohler ist der Lösung näher, aber er müsste noch näher kommen, zeitlich wie geographisch. Wie werde ich Präsident / Herrscher / Wasweißich auf Lebenszeit? Ansonsten halt die EM 2012 in der Ukraine und ob Russland nicht noch da ein paar Stadien / Hotels / Verkehrswege einfliegen lassen möchte. 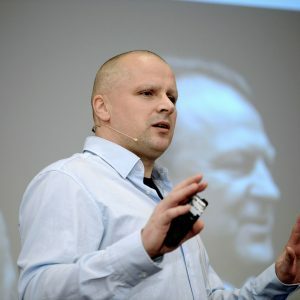 Das gegnerische Tor und der nationale Felsbrösel von Herrn Geröllheimer; wobei der Friedensnobelpreis auch nichts mehr anderes zu sein scheint als der Weltmeistertitel für Intrigensteuerung im internationalen Kommunikationsherrschafts- Wettbewerb. Gua, ich denke tatsächlich, dass die EM 2012 ein Thema gewesen sein muss. Zwar sollte man den direkten Einfluss des Sports auf Politik nicht überschätzen, aber die Vergabe der EM an Polen und die Ukraine ist schon ein hochpolitisches Symbol. Die Ukraine ist bekanntermaßen ein Land mit zwei starken politischen Strömungen: Dem Drang nach Europa im Westen und dem Festhalten an Mütterchen Russland im Osten. (Wie immer: Vereinfachung als Mutter der Veranschaulichung.) Die Ukraine gemeinsam mit Polen als Ausrichter einer EM zu positionieren, ist ein großer Erfolg für Westeuropa. Und zwar recht eindeutig auf Kosten Russlands, das verständlicherweise seinen Einfluss auf die Ukraine nicht nur nicht verlieren, sondern so weit wie möglich erweitern will. Sewastopol und die Schwarzmeerflotte dürften ein Grund sein, viele Kilometer Rohrleitung (vorhanden oder noch zu bauen) sind ein noch berechenbarerer. Für den durchschnittlichen, etwas arroganten Mitteleuropäer mag es normal und vorhersehbar klingen, wenn im Vorfeld der EM immer wieder gesagt wird, dass die beiden östlich liegenden Ausrichter (und die Ukraine ganz besoonders) große Probleme haben, Stadien und Infrastruktur fertigzustellen. Mein Gefühl ist aber eher, dass es in der Ukraine genügend Kräfte gibt, die eine erfolgreiche EM-Ausrichtung nicht besonders wünschen und dass Putin Einfluss auf diese Kräfte hat. 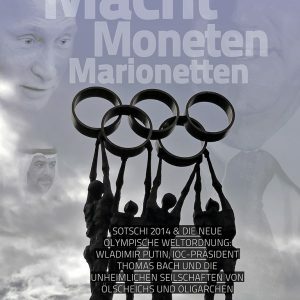 Ob Blatter eine glatt laufende EM von Platinis Kontinentalverband wünscht, weiß ich nicht, aber ziemlich sicher ist, dass Putin nichts Hilfreiches „einfliegen lässt“, um mit Guas Worten zu sprechen. Es sei denn, er will den Friedensnobelpreis wirklich. Arnesen, ich denke, Du denkst zu kompliziert. Jedenfalls zu kompliziert für diese spezielle Welt. Und dass Du im Zusammenhang mit seinem Wunsch nach dem FNP den Konjunktiv wählst, irritiert mich.
Tja, zu dieser Topleistung im Fremdschämen kann man nun wirklich schwierig ezwas sagen. Es wäre auch unverdient, einzelne Sätze herausgzugreifen, denn jeder einzelne ist ein Kunstwerk für sich. �?I surmise that the very fact of holding such a major event will certainly be a shot in the arm for the development of football in all of Eastern Europe, in any case, in the former Soviet Union. “Die Durchführung eines solch großen Sportereignisses hätte eine bedeutende Ausstrahlung auf die Entwicklung des Fussballs in ganz Osteuropa zur Folge, insbesondere im Bereich der ehemaligen Sowjetunion.�? Erst die Durchführung einer WM in Russland 2018 hätte also bedeutende Auswirkungen auf bspw den Fussball in der Ukraine. Arnesen: Du meinst, sie hätten sich über Kunstrasen unterhalten müssen? @arnesen: Vielen Dank für diesen intelligenten Kommentar! Die EM 2012 hatte ich in der „Ukraine-quo vadis?“-Thematik gar nicht beachtet. Sehr plausibel, das. Spannend also, ob sich Deutschland weiter als Ersatzausrichter warmläuft und wer dafür in Deutschland seine Strippen zieht. Schröder, sein Fussballnetzwerk (Tönnies, Schalke & Co.) und seine russlandfreundlichen Kohorten in SPD und Energiewirtschaft? mit sicherheit kann es putin nicht schmecken, wenn sich die ukraine weiter emanzipiert, eine negative einflussnahme prorussischer kräfte hinter den kulissen ist für meine begriffe absolut plausibel. von daher hat arnesen das sehr treffend analysiert. dieses treffen dürfte hauptsächlich im hinblick auf die em stattgefunden haben. Mal so in den Raum gefragt, was hat die FIFA denn mit der Ausrichtung der EM 2012 zu tun? Die wird immer noch von der UEFA vergeben. hat irgendjemand das Wort „FIFA“ gesagt? Die FIFA hat auf die EM 2012 natürlich keinen Einfluss – ungefähr genauso wenig wie Russland. Ich jedenfalls habe nur über Interessen zweier Gesprächspartner gemutmaßt. 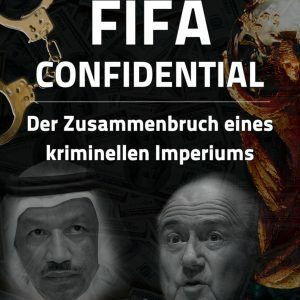 Habe gerade gelesen, dass Blatter 2011 erneut kandidieren will (alles andere hätte mich auch schwer überrascht) – seine „Mission ist noch nicht erfüllt“. Welche Mission? Ein Nobelpreis? Ein ständiger Sitz im UN-Sicherheitsrat? Runde Spielfelder mit 20 Meter breiten Toren, damit Fußball noch attraktiver wird? Ich habe Angst. @ Saffti: Ich glaube ja sogar, dass er 2015 ebenfalls kandidiert, dann wäre er 79 Jahre alt. 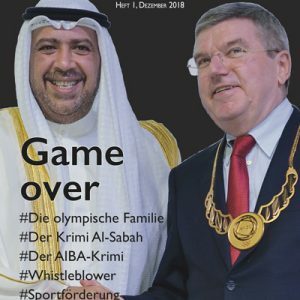 Was er aber nicht schaffen wird, denke ich: der längste amtierende FIFA-Präsident zu werden bzw. gewesen zu sein. Dann müsste er bis 2031 amtieren, er wäre dann 95 Jahre. Ich denke, dass wird nicht mal er sich antun. Jules Rimet war 33 Jahre FIFA-Präsident, ohne dass es Blatter verhindern konnte :). Apropos Friedensnobelpreis: Bin gerade in Oslo und habe eben flink einige Schnappschüsse vom Nobel Peace Price Center gemacht, damit ich eigene Bilder (kein Content-Klau! hier nicht) habe, wenn es irgendwann so weit ist. Die Norweger sagen übrigens, Blatter werde es nicht, so runtergekommen sei das Komitee noch nicht, um einen Sportfunktionär auszuzeichnen. Ich bin mir da nicht sicher. Blatter ist nicht abgeneigt, das hat er mir kürzlich im Interview bestätigt. Kannst gern mal reinhören, im letzten Viertel des Gesprächs solltest Du es finden: Interview mit einem Friedensnobelpreisträger in spe.